Our job is always fun, but Lindsay & David are one of the most fun-loving, couples we have ever had the pleasure of working with! With David's career in the car dealership world, he has always worked Saturdays, so since their courtship, their special fun day together has always been Sundays. Because it's soo them, from the get-go, we knew we had to create a fabulous Sunday funday brunch style wedding in the city of Denver. Needless to say, we had so much fun being creative with these two, and curating all of the fun, festive details for this special day! We were inspired by Lindsey's Mexican heritage (and her gorgeous ink)! 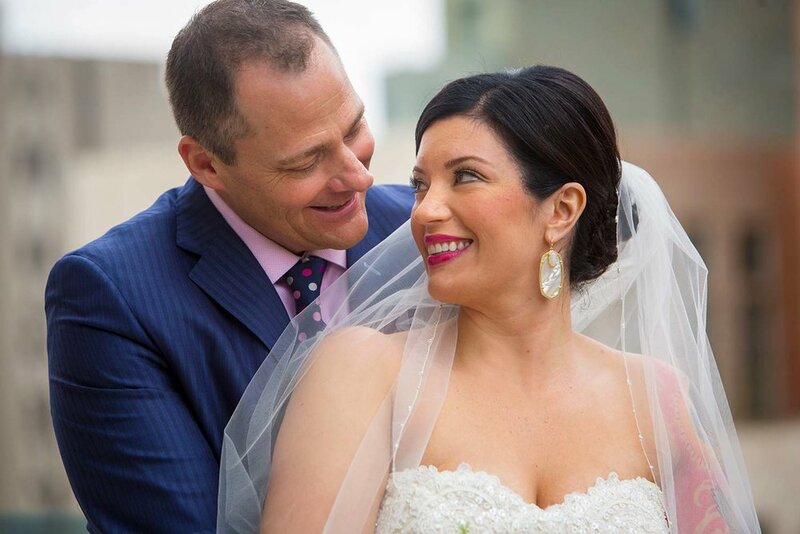 It was such a treat to infuse bright, colorful whimsey into this Spring affair and was the perfect contrast to their industrial/urban venue in downtown Denver. 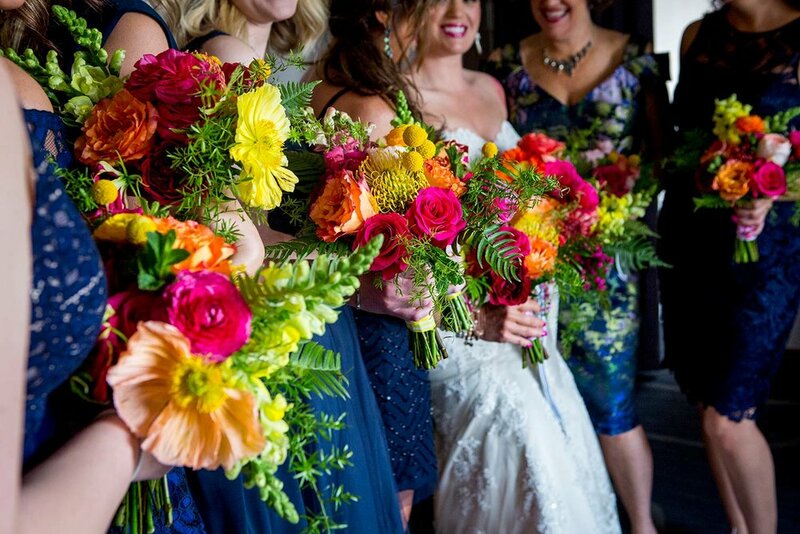 We designed these gorgeous flowers to be high-texture, including bold, bright pops of color! They were unique and different, and the perfect complement for the day! 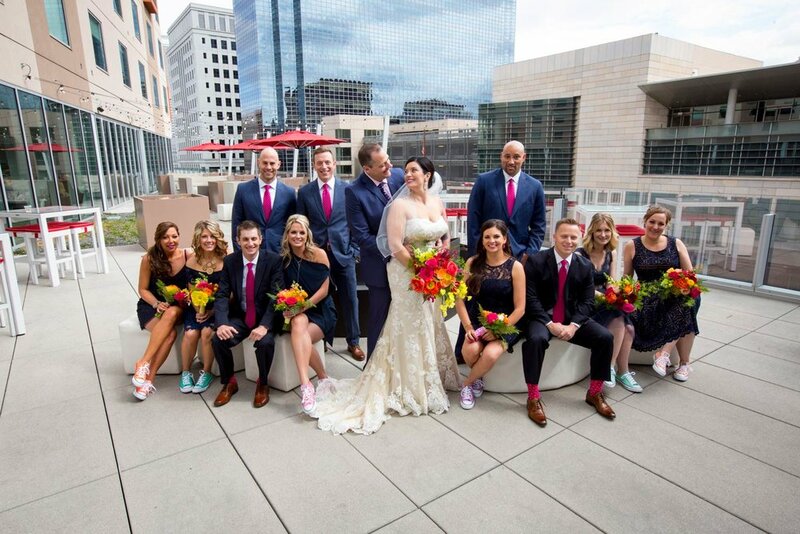 As a nod to Lindsay's late father, the couple purchased Converse for all of their bridal party in a variety of colors. This was a treat, especially for the ladies, who could kick off their hot pink heels and change into coloroful Chucks for dancing! Papel Piccado and bright floral lighting gobos creating an amazing feel in Denver's City Hall, and this dance party rocked all day long! This was SUCH a fun party! Lindsay & David, we can't thank you enough for allowing us to sharing your love story and your special, unique wedding! 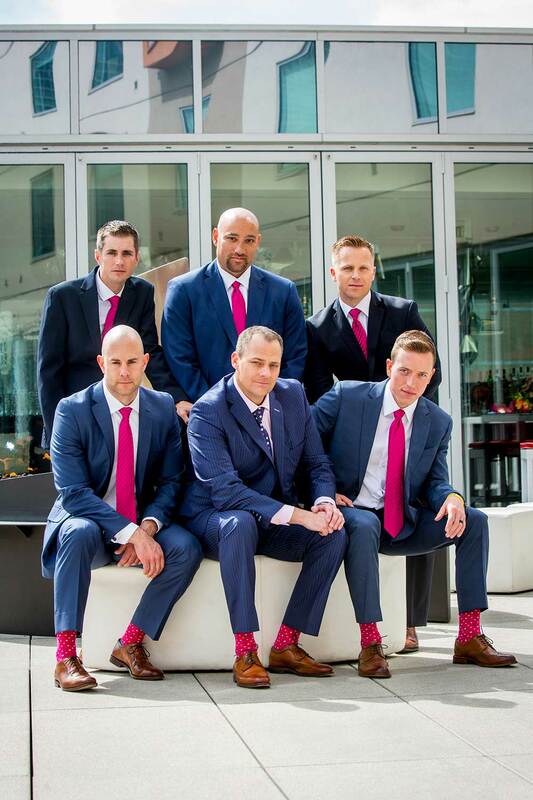 We loved every minute of planning, and we are obsessed withe this colorful Spring affair!